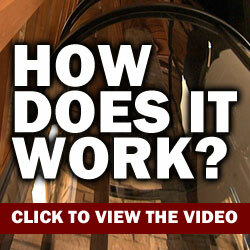 A glass elevator is an attractive and practical solution to improve mobility at home. Glass elevators are compact enough to fit into small spaces, but they are strong and sturdy enough to support heavy weights and wheelchairs. Our pneumatic glass elevators are available in three models to match your needs. 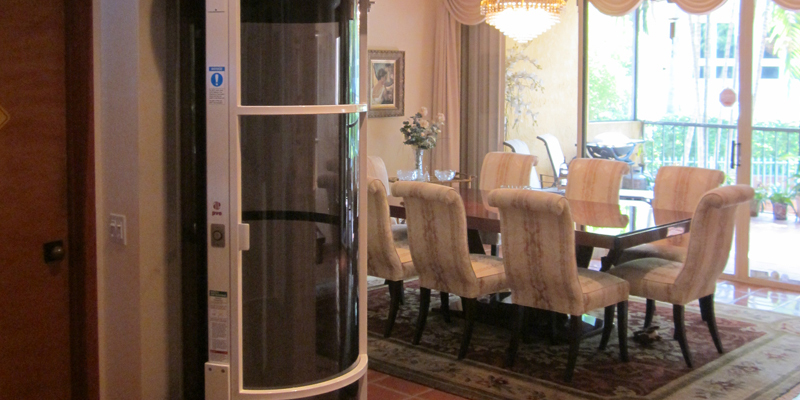 The Vision 350 model is our smallest glass elevator, with a diameter of 30 inches and a weight capacity of 350 pounds. It is not large enough to accommodate a wheelchair. Our next model, the Vision 450, is larger. It measures 37 inches in diameter and has a 450-pound weight capacity. Like the 350, the Vision 450 is not large enough to accommodate a wheelchair. 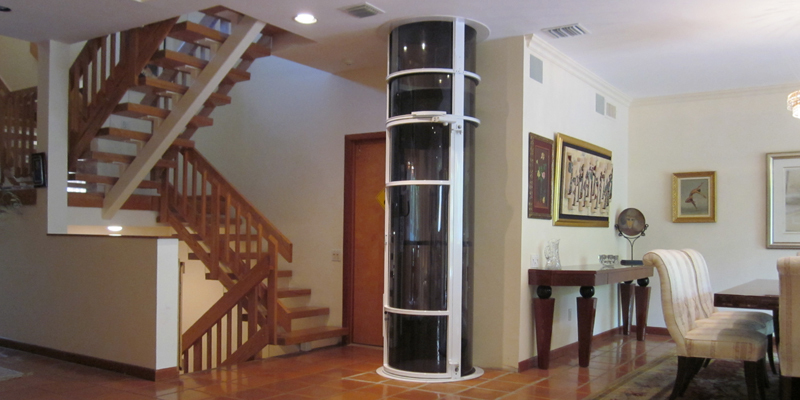 Our largest pneumatic glass elevator, the Vision 550, is 52 inches in diameter. It can transport up to 525 pounds and can accommodate a wheelchair. None of our pneumatic models requires a pit, hoistway, or machine room. They can be attached to a balcony or travel through a hole in the floor. Our cable-driven glass elevators are larger than our pneumatic models. The Visi-48 features an octagonal design that is 48 inches across at its widest point. It is large enough to fit a wheelchair. If you would like an even larger model, our biggest elevator is the Visi-58, which is 58 inches in diameter and can transport up to 830 pounds. If you need to improve mobility at home for yourself or a family member, a glass elevator is the perfect option. With a variety of sizes available, you can choose an elevator to meet your weight needs and accommodate a wheelchair, if necessary.